At Honda, we know we didn't invent the crossover SUV, we just made it better. Introducing the all-new 2015 Honda CRV. We pulled out all the stops and cranked up the awesomeness to 11. From technology to safety and performance to comfort we left no stone unturned. Technology – We didn't invent the backup camera, we just made it better. The multi-angle rearview camera not only allows you to see both wide and normal views, but also provides a bird’s eye view over the bumper should you need to squeeze in that extra inch or two in a parking situation. We've also included available voice technology, Bluetooth, digital music player capabilities, satellite linked navigation, access to social media, receive and send text messages safely, satellite radio, and so much more! · Lane departure warning/Lane keeping Assist - enhanced technology that alerts you when you've crossed over the line and makes adjustments to keep you in your lane. · Adaptive cruise control – makes adjustments to traffic in front and behind you. Performance - The new 2.4 L engine gives you the same 184 HP as before, but this time it's connected with a CVT (continuously variable transmission – doesn't jerk you in and out of gears) for a smoother, more efficient drive. Not to mention it has an impressive 27/34 mpg city/hwy. State-of-the-art technology allows you to save on energy and gas as well as help the environment through environmentally conscious design. Vehicle Stability Assist™ will break individual wheels and/or reduce engine power should you find yourself in unstable terrain. It also features traction control to prevent spinning wheels when you accelerate. 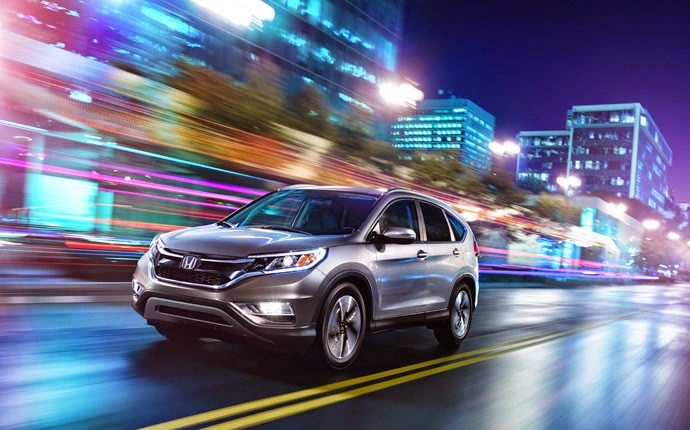 Comfort - From dual–automatic climate control, to heated outside mirrors, auto-dimming rearview mirror, roof rails, available leather, and roomy interior the 2015 Honda CR-V offers an inviting environment the whole family will love. Since we spend so much time in our cars these days we figure having those "creature comforts" couldn't hurt. Check out the all-new Honda CRV at the Olympia Automall. Our professional staff will seek to understand your needs and situation to help you find the right car or truck for your situation. When it comes to making one of the biggest decisions of your life, trust the experts with the largest selection of new and used cars Olympia has to offer!